What is the secret to an engaging headline? Everyone has an opinion... but what does the data say? 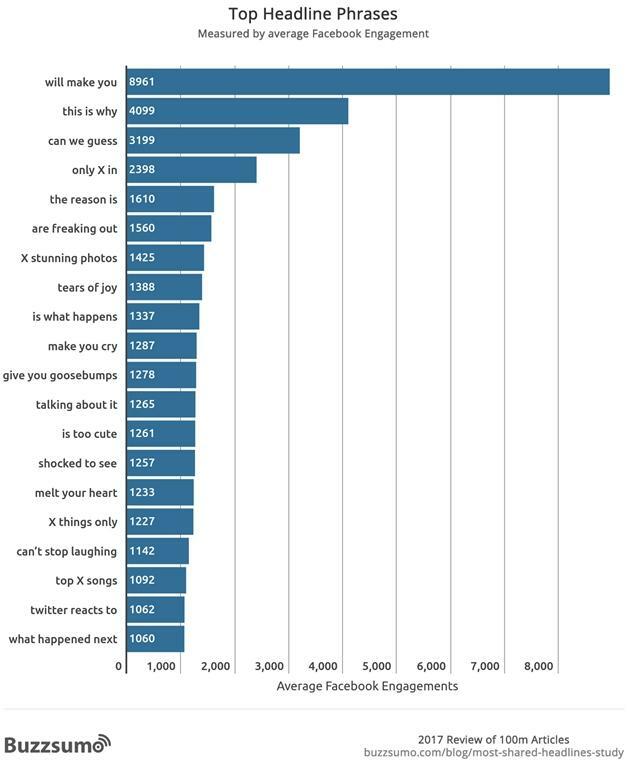 At BuzzSumo, we analyzed 100 million headlines published in 2017 to see what insights, if any, we could gain to improve our headlines and ensure they resonate with our audience. We published our detailed findings in a lengthy, 4,000-word post. But the essence of an engaging headline comes down to just a few core principles, we found. Steve Rayson is director at BuzzSumo, which provides social insights for content marketing and SEO campaigns.